The SLA24N-module board S30810-Q2929-X is a subscriber-module-board with 24 analogue interfaces for the connection of system-neutral terminals. Наличие - Склад Москва:	5 шт. SLA24N модуль аналоговых абонентских линий (24 a/b) для 24 аналоговых абонентских оконечных устройств для HiPath3550, Hipath3750, Hicom150E. The SLA 16N (Subscriber Line Analogue) allows you to connect up to 16 analog a/b extensions as for example analog standard-phones or fax/answering machine. 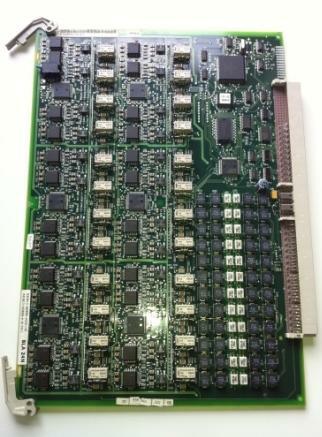 The board is used in Hicom 150E OfficePro, HiPath 3700, HiPath 3750, HiPath 3550 aund Octopus 800. 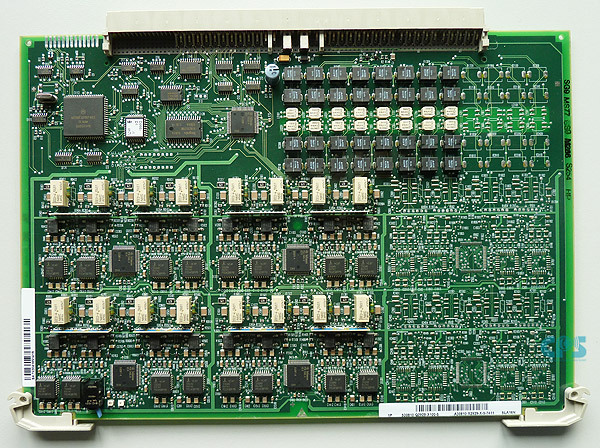 SLA16N Analog subscriber module (16 a / b) SLA 16N for HiPath 3550/37xx for connection of analog phones, fax machines, answering machines, speakers, amplifiers, intercoms, a recorded announcement machine, voice mail, external music source. У нас Вы можете приобрести любые карты б/у по спец-ценам. Звоните!